The 2016 Toyota Mirai is a revolutionary car. Although it’s technically an electric vehicle, it uses a hydrogen fuel cell to create electricity rather than needing to be plugged into an electrical outlet. 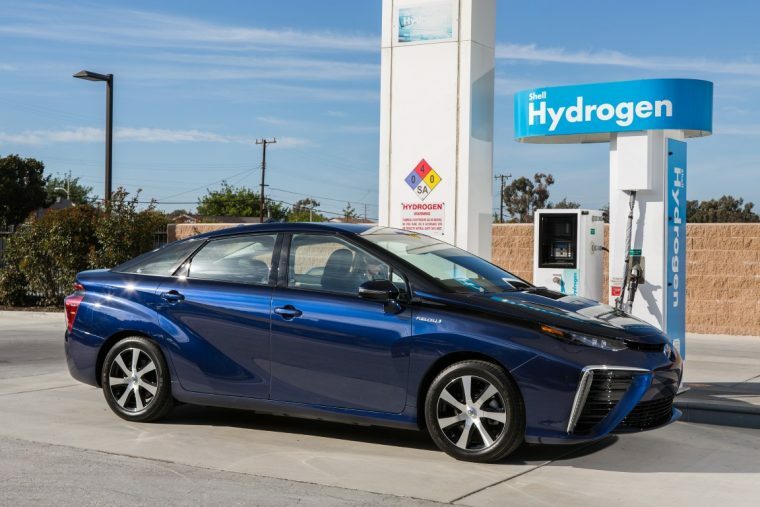 Filling up with hydrogen takes mere minutes rather than the hours it typically takes to charge an EV, so the Mirai is a much more practical option. Oh, and it pees. Yep, you read that right. When testing the Mirai on its track, Edmunds.com found something called an “H2O” button. When pressed, water trickles out of a hole underneath the Mirai’s rear end. The result makes it look like the car is taking a much-needed leak. This isn’t the first time Toyota has played with pee. Last year, Toyota Europe released a fun commercial for its Aygo (whose tagline, incidentally, is “Go Fun Yourself”), which featured the small car travelling around a city, lifting its rear wheel and peeing on things like other cars and poor, unsuspecting dogs. The pee obviously paid off, since Toyota is now almost synonymous with cars that pee on things. Good things usually come in threes (or pees), so we fully expect to see a Toyota Tacoma with a “pee” button in the not-too-distant future.